One of the great things about homebrewing is the ability to have a variety of beers on tap at once. If you enjoy having more types of beer at your disposal, one option is to make beers that are meant to be blended. In the best cases, you can have two beers that taste great on their own, and additionally make a tasty blend. 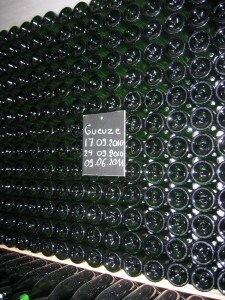 A gueuze is the only major beer style that must be produced by blending, but there are many other blends you could try. 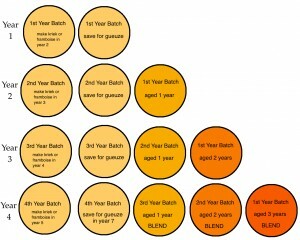 Very few homebrewers produce blended beers. Unlike winemakers, we are used to formulating the recipe, brewing the batch, and drinking the beer as is. However, there are several opportunities for brewers to make a blend from two beers and have all three beers — the two original beers and the blended beer — fit within established style guidelines. And of course, if you’re willing to throw out the style guidelines, there’s no limit to the types of beers you can create. 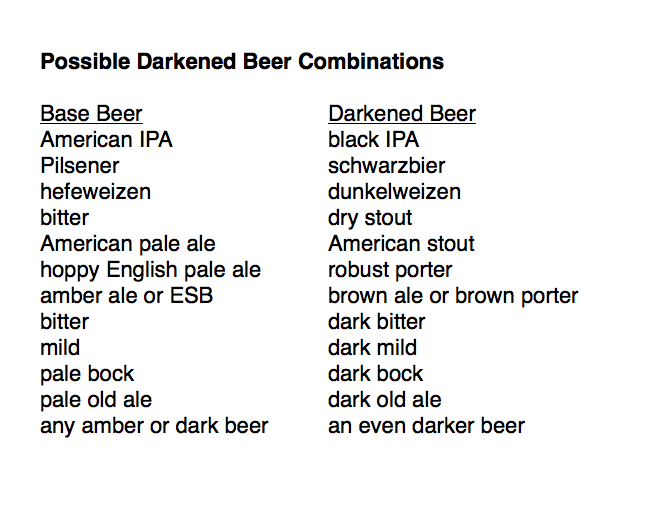 Here are some of the more conservative blends a homebrewer could try. He or she could brew two 5.0-gallon (19-L) batches and end up with 3.3 gallons (12.5 L) of three different beers. When it comes time to blend their gueuze, traditional lambic producers have a brewery full of barrels to select from. They can sample from their barrels, select those to contribute to their gueuze, dedicate others to fruit beers, and tag others for continued aging (or the drain). You, in contrast, will have three buckets (if you follow the plan in the accompanying article). Still, if your three beers turned out well, you can still blend of very fine gueuze at home. Traditional lambic makers brew during the cooler months of the year, and take the hot summer off. Spring is a great time for homebrewers to begin a sour beer. The main fermentation can complete at normal ale temperatures, and then the beer can sour over the summer. 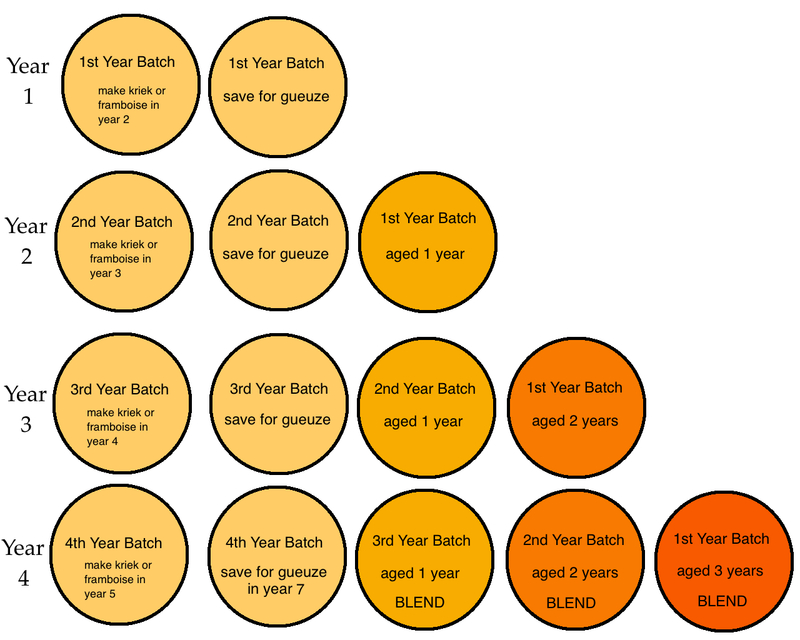 During this time, the temperature of the fermenter can rise (within reason). The added heat will help the souring bacteria do their work more quickly.